The online webinar, “Microlearning and Behavior-Based Safety (BBS): A Perfect Fit for Today’s Realities,” discusses how employees can better remember critical safety information using new technology. The combination of BBS and microlearning is the perfect way to address the challenges of Industry 4.0 while creating a safety culture of excellence. ProAct Safety, a recognized pioneer of safety excellence strategies, announced Terry L. Mathis, the company’s CEO and founder, will be co-presenting a complimentary webinar hosted by EHS Today and sponsored by Axonify. Mathis will review the basic premises of behavior-based safety (BBS) and explain how microlearning can be applied to revolutionize BBS effectiveness while reducing its costs. Carol Leaman, CEO of Axonify, will explain what microlearning is, the rationale for using it for training, and will share real-world examples of organizations that have been leveraging microlearning as a critical component of their safety excellence strategy. The combination of BBS and microlearning is the perfect way to address the challenges of Industry 4.0 while creating a safety culture of excellence. This webinar is a follow-up of Mathis’s acclaimed session at the recent ASSP convention in San Antonio. To register for the event, visit http://www.ehstoday.com/webinars/webinar-microlearning-and-behavior-based-safety-bbs-perfect-fit-today-s-realities. For more information about ProAct Safety events, visit h ttp://proactsafety.com/events. Mathis, ProAct Safety's founder and CEO, is known for dynamic presentations, work and writing in the fields of behavioral and cultural safety, leadership, and operational performance. He is a regular speaker at ASSE and NSC, as well as company and industry conferences. 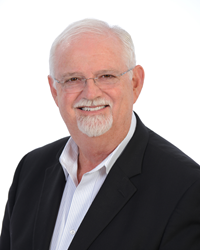 He has been a frequent contributor to industry magazines for more than 15 years and is coauthor of four books, including bestsellers STEPS to Safety Culture Excellence (WILEY, 2013) and Forecasting Tomorrow: The Future of Safety Excellence (SCE Press, 2015). Terry has been listed four consecutive times as one of ‘The 50 People Who Most Influenced EHS’ by EHS Today. Learn more about him at http://www.TerryLMathis.com. Carol Leaman is the CEO of Axonify Inc., a disruptor in the corporate learning space and innovator behind the Axonify Microlearning Platform—proven to increase employee knowledge and performance necessary for achieving targeted business results. Carol is a frequent speaker, a regular contributor to Fortune magazine and a well-respected thought leader, whose articles appear in various learning, business and technology publications. She also sits on the boards of many organizations, both charitable and for-profit, and advises a variety of high-tech firms in Canada’s technology triangle. Carol has won multiple awards, including the Waterloo Region Entrepreneur Hall of Fame Intrepid Award (2011) and the Sarah Kirke Award (2010) for Canada’s leading female entrepreneur and she is a finalist for the Techvibes Entrepreneur of the Year Award (2017). ProAct Safety is a global safety excellence consultancy. The company has completed more than 2,000 successful safety strategy, leadership, culture and performance projects in nearly every major industry worldwide, including Fortune 500 firms.